A complete set of learnings covering all supply chain activities, from operational to strategic level. We tailor to individual needs using building blocks like eLearning, classroom training, simulations and coaching. Development of programs and paths are aligned with current and future needs. Blending is the core principle of The Value Chain Academy. We distinguish different building blocks, all different learning formats. Examples of building blocks are assessments, eLearning modules, classroom trainings, business simulations, business games, coaching (face-to-face or virtual), communities, master classes, blogs, webinars and news feeds. All building blocks have their own characteristics and are used at the right moment to create the strongest learning effect. We blend building blocks into different learning paths. The objective of a learning path is to bring the learner to a pre-defined aspired end level. Starting points may vary for different learners, hence assessments and eLearning are logical starting building blocks. Learning paths are tailored to the customer’s needs to comprise the overall program. 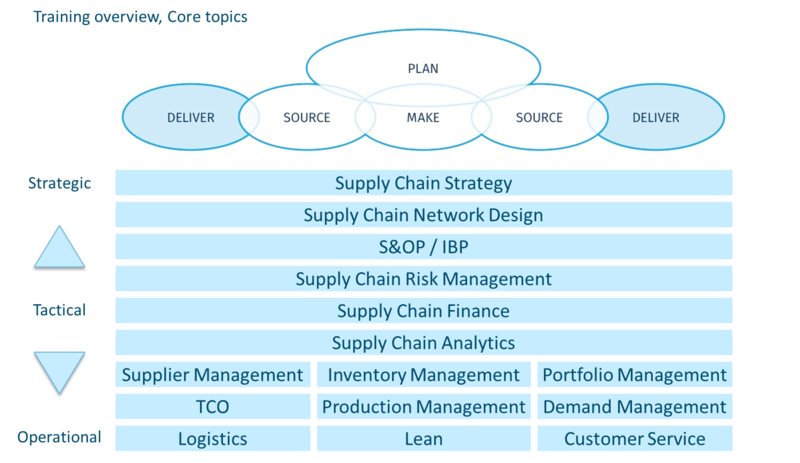 The topics in scope cover all supply chain activities such as source, make, deliver and plan. For all topics building blocks are available to make the optimal desired blend. Supply Chain theory is in line with the SCOR model and terminology is APICS compliant. The development of a company learning program can start small and simple. The program can develop over time to fit the company’s requirements and maturity. Current and future needs can and will be supported by the program. Starting small enables a company to achieve quick results. Some academies will stay small, others will develop to global learning platforms. We also blend hard and soft skills. 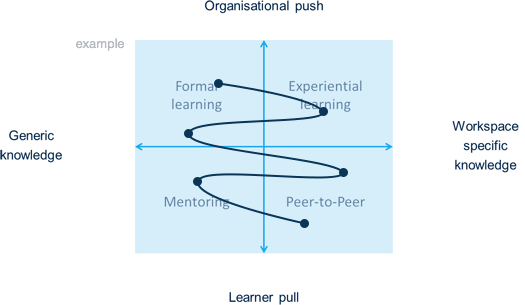 Enabling development of people goes beyond hard skills in Value Chain topics. In order to facilitate this building blocks on soft skills are also available. These building blocks are again available in different learning formats like eLearning, classroom trainings and coaching.